This is the one I’m happiest with at the moment. 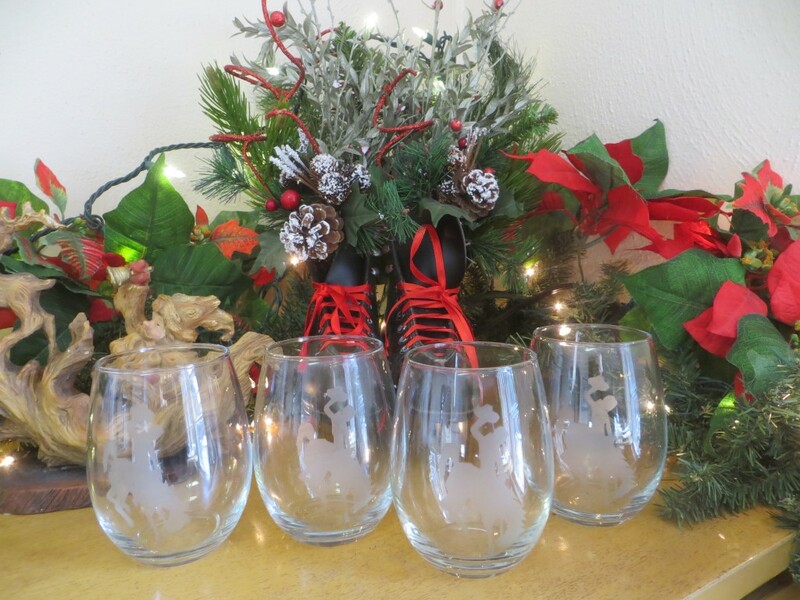 I decided to etch some stemless wine glasses. Now the glasses aren’t that expensive, so I wouldn’t be losing too much if it was a fail. I’ve etched things before but these were a bit trickier since not only are they round glasses, they are curved vertically as well. It’s fairly straight forward. Cut your stencil from some spare shelf paper (thanks to my sister who had some when I couldn’t find mine!). Place carefully on the glass, making sure there’s good contact with every little edge! Paint on Armour Etch and let sit for 5 minutes. 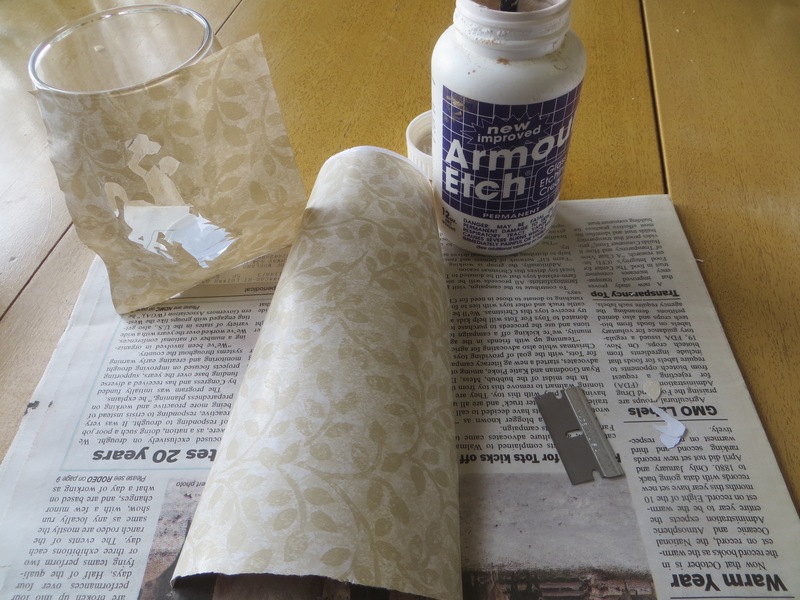 Remove your stencil and wash off the etching paste with water. Oh my gosh they are beautiful, I want to try this!! I bet they will love them!! Looks like we are all “kicking up our heels” with admiration for this project!! Those wine ( or iced tea) glasses look great. I love the WY bucking horse . The library looks wonderful too. Wonderful. Perfect even in an Idaho ladies eyes. I love those! 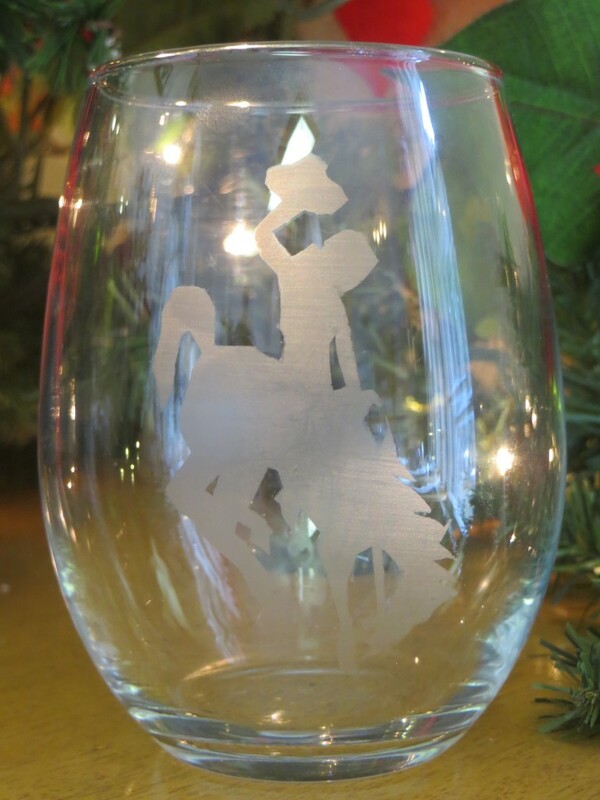 I may try my hand at etching some glasses. I’ll bet your glasses bring goo $$ at the auction!